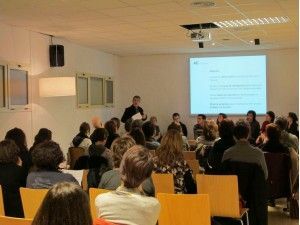 The Centre de Recursos Pedagògics d’Osona and ACVIC Centre d’Arts Contemporànies has launched the project AS Art and School in order to promote the presence of art in schools. A work team has been created, composed by members of ACVic Centre d'Arts Contemporànies, Centre de Recursos Pedagògics d’Osona, Escola d’Art i Superior de Disseny de Vic, Fundació Privada Osona Formació i Desenvolupament, La Farinera Centre d’Arts Visuals de Vic, Universitat de Vic and Escola d'Arts Plàstiques de Torelló to promote the programme and to establish a network of collaborations between various institutions working in the arts and participating schools . The team is responsible for defining the lines of the programme, advising on content and methodology to the participant schools (nursery, primary and secondary education). Currently, a project based on artistic practice and the explicit theme of the COUNTRYSIDE is under proposal. This theme is directly related to an upcoming exhibition titled "Ruralitats" which will be presented at ACVic 2012. 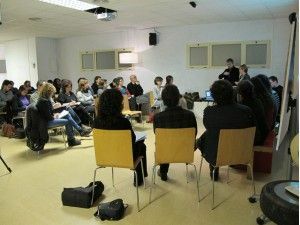 (The activities of ACVic on art , nature and rural context are presented within the framework of the programme ACVic-SBG in collaboration between ACVic and Ajuntament de Sant Bartomeu del Grau). Each school will decide a length of time to undertake the project, aiming towards a minimum duration in order to set out a coherent work, including a working process, methodology, references and a final result. Any medium may be used either during the process or in the end-result: video, photography, painting, drawing, sculpture, installation ... and also in relationship to different arts such as advertising, design, new imaging technologies, movies, etc.. In addition, the project may be formulated along interdisciplinary lines, working in different areas, and / or with different materials. The end-result will come together in a conference and exhibition, probably to be held by the end of summer term. The conference will allow for the presentation of the process, research, references and the methodology used. The exhibition will serve to introduce some of the results, and will be linked to a further exhibition to be held in ACVic with the involvement of the participating institutions. 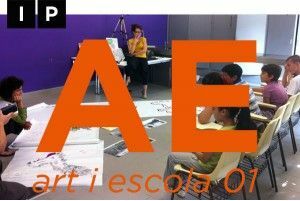 These activities aim to raise awareness and to communicate the results of the project AE Art and School.